Enjoy your Florida vacation in style in this second floor condo in gated Stoneybrook Golf and Country Club, a premier golf course community. This two bedroom, two bath condo with screened front veranda and screened lanai with golf course view offers eating space in kitchen, dining area open to living room, unit is tastefully furnished for comfort and style. 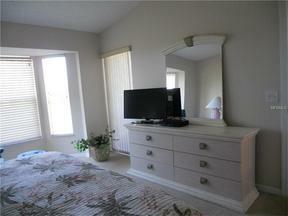 Screened lanai overlooks golf course, master suite has king bed, guest bedroom has twin beds, & separate laundry area inside unit. Temporary golf membership transfers for duration of your stay for $250. Clubhouse has one of Sarasota's finest restaurants, grill room, and lounge. Enjoy swimming, tennis, fitness room, biking, golfing, and just minutes to Siesta Key beaches, shops & restaurants.